Van Halen Plates | Hi there ! Thanks for stopping by. Hi there ! Thanks for stopping by. 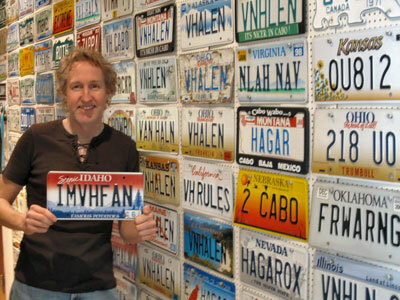 What´s closer as to put both hobbies together and collecting Van Halen related personalized license plates. In addition, I collect Rock`n`Roll related tags as well.